Mr. T.J. Martzial, Project Manager, brings over 38 years of experience in administering HUD CPD entitlement and competitive programs. 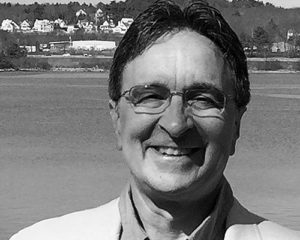 Mr. Martzial worked for the City of Bangor, Maine for over 25 years as the Community Development Programs Manager involved in housing rehabilitation, affordable housing development, ​the homeless Continuum of Care, ​and CDBG program management. He spent over three years as the Director of Housing and ​Community Development for the City of Portland Maine overseeing HUD CPD programs, including CDBG, CDBG-R, HOME, ESG, HOPWA, Lead Hazard Control, NSP-1, and HPRP. Mr. Martzial coordinated a three-year redesign of Portland’s entire community development program that included extensive public engagement and a redistribution of funding to encourage economic development and job creation. He also coordinated the redesign of Portland’s performance measure standards for the annual competitive CDBG program, ensuring effective investment of federal funds, and consistent and fair competition for over 60 subrecipients. Mr. Martzial has successfully integrated various local Portland resources into affordable housing developments such as Maine and Portland’s eligible uses of Tax Increment Financing (TIF), the Portland Housing Trust Fund, the Housing Development Fund, and the Housing Replacement Ordinance. Mr. Martzial’s over 30 years of experience in Maine and Portland’s community and economic development issues brings a unique practical and local perspective for data-based strategic planning to address affordable housing issues. At the request of HUD, in 2014 Mr. Martzial directed a Cloudburst technical assistance team to develop affordable housing underwriting standards and competitive scoring criteria for the City of Brownsville, Texas. This engagement included training Brownsville staff how to target their resources and underwrite proposed multi- and single-family affordable housing projects using templates developed by Cloudburst and customized to the local market. This work focused on using HOME program funds with CDBG, Low Income Housing Tax Credits, subsidy layering, housing market analysis, and compliance with the new HOME Rule. Mr. Martzial has worked for Cloudburst for eight years and is the Project Manager on a number of HUD Community Planning and Development projects, and various state and local projects such as developing Consolidated Plans, Housing Needs Analyses, strategic planning, and Analyses of Impediments to Fair Housing Choice. Since working at Cloudburst, Mr. Martzial has developed strong expertise in management of complex federal, state, and local projects with large multidisciplinary teams of staff and subcontractors. Mr. Martzial’s capacity to manage personnel, combined with decades of technical proficiency provides Cloudburst clients with the confidence that their project requirements and scope will be accomplished not only with regulatory compliance and technical insight, but with efficient methodology and on time deliverables. Mr. Martzial retired in 2010 from local government and now is leveraging his experience to provide technical assistance for federal, state and local governments and nonprofit organizations. In addition to working directly with HUD headquarters and Regional Field Offices under contract for two years to assess and optimize the organizational structures and entities supporting grants management, Mr. Martzial has managed and directed a team of staff and consultants in over 30 contracts providing technical assistance to states and municipalities to build their capacity to administer CDBG, CDBG-R, NSP, and HOME. Technical assistance under these contracts also included providing guidance on consolidated community and economic development planning, strategic planning, developing local and statewide housing needs assessments and market analyses, and assisting HUD grantees with developing appropriate performance measures for their subrecipients.